You know... I probably would have really enjoyed Montessouri school as a child. I love jumping into something without reading the directions. A dose of Discovery Learning always does me some good. The neckline was enormous, and at a strange angle. Plus, the waist was just fine. 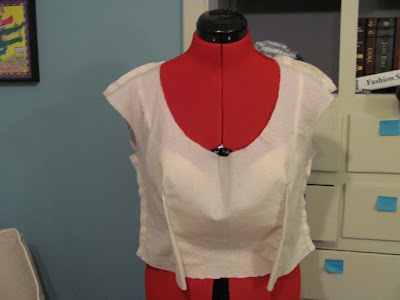 So I took in the neckline by 1/2" on either side, tapering it to nothing under the arm. This looked right to me. 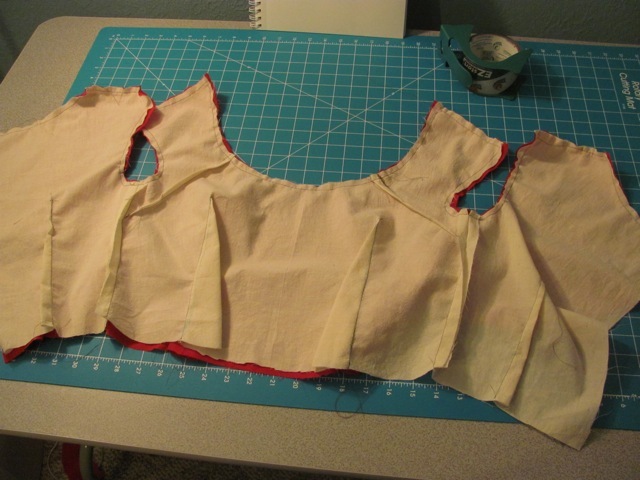 So I measured and cut the pattern piece, taping it back together with the little wedge removed. 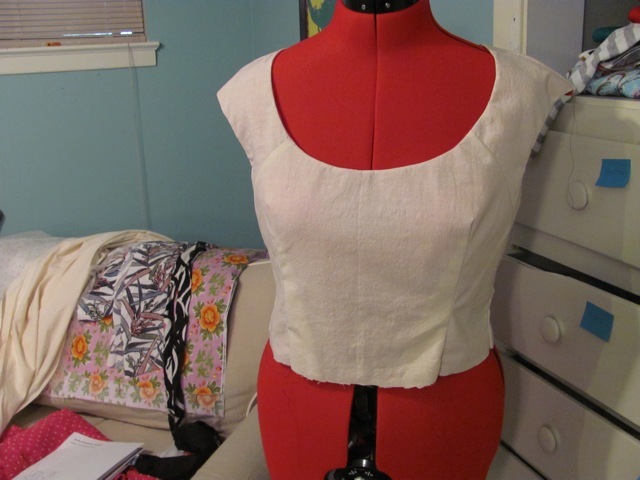 With right sides together I put the lining and outer bodice together. 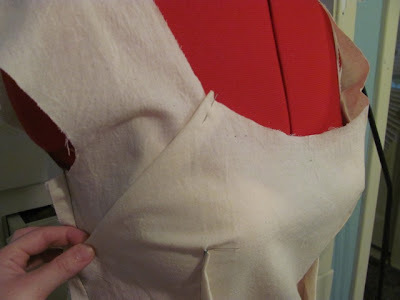 When doing this, you are actually supposed to handle the shoulder seams differently, so the seams are on the inside. But in my laziness, and since its a muslin, I just sewed them together after the fact. Here we go! Looking good! 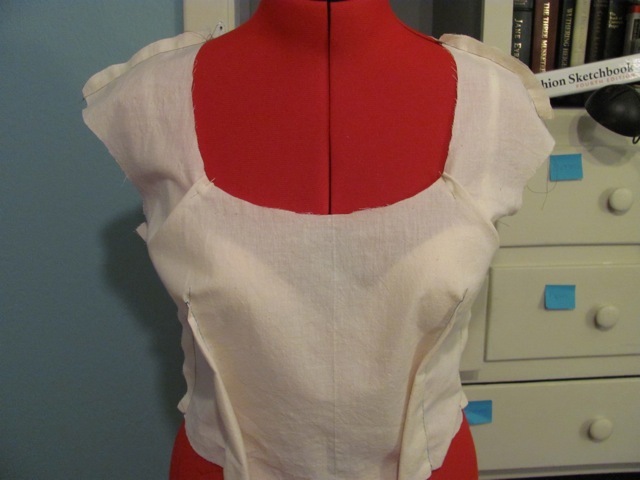 I actually kind of like the seam from the neckline to the side. I can see doing some color blocking along those lines at a later date. What I realized though, in my best Nina Garcia inner voice (my inner voice often impersonates Project Runway judges...today it was Nina) - is that it just looks a little bit junior. If I made this dress in an evening wear fabric the whole thing would look best for a teenager. At the same moment, I stumbled upon Gretchen's announcement, at Gertie's New Blog for Better Sewing, that she has launched an online class at Craftsy.com. 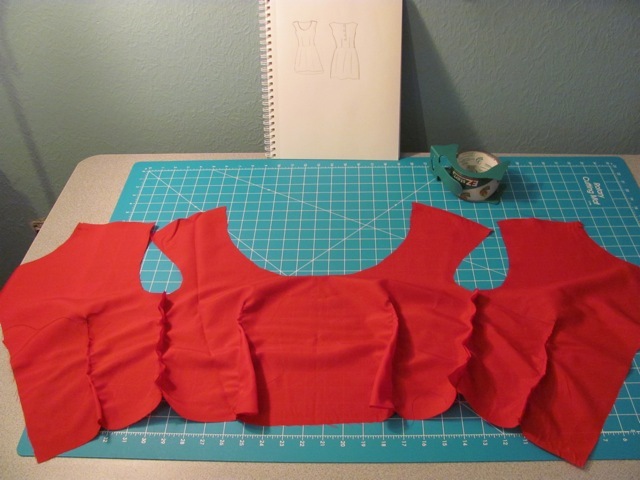 This class, thrillingly, is on how to construct a bombshell dress. PERFECT. Not only that, it includes a number of techniques I haven't tried yet - boning, underlining, bust padding, hooray! I promptly signed up and started drooling over fabric online. I've already watched several lessons, and I love love love Gretchen's teaching style. So happy! 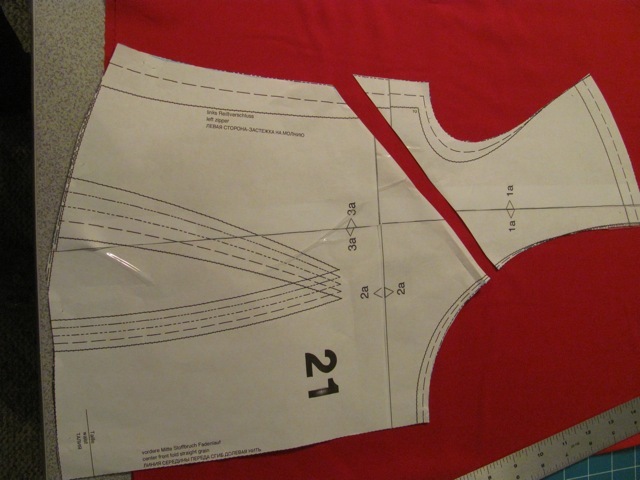 What will happen to this little Burda pattern, you ask? FEAR NOT. Sitting on my couch, right next to the dress form (but not quite in the picture), is two yards of swiss dot fabric that will look awesome as this dress. Hmmm... I'm starting to have a sewing queue. Yikes.